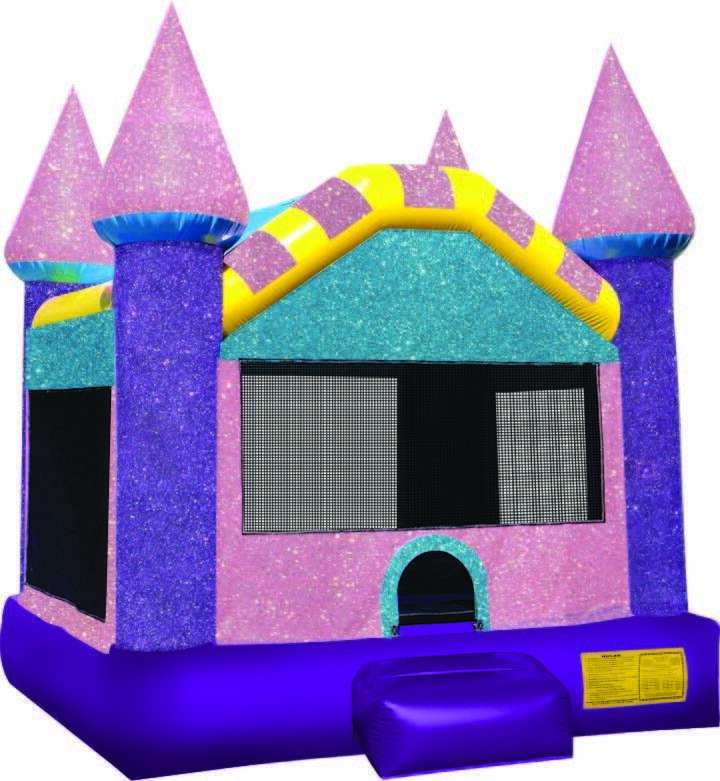 The Dazzle Sparkle Bounce House looks amazing with super colors and glitter that sparkles in the sun. This casle bouncer is perfect for your little princess with a large bouncing area and windows on all four sides for easy viewing. Amazing colors and glittery surface!